What do normal girls do at 10:30pm on Friday nights? Cook... right? 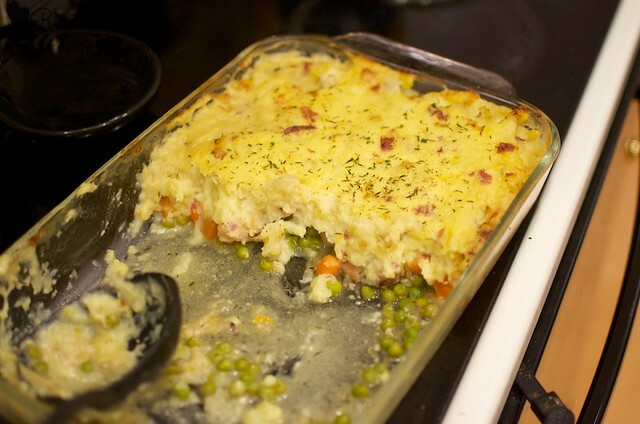 Ever since St. Patrick's Day, I have been craving cottage pie! It was a fave when I was a kid, probably because I think everything is better covered in mashed potatoes! 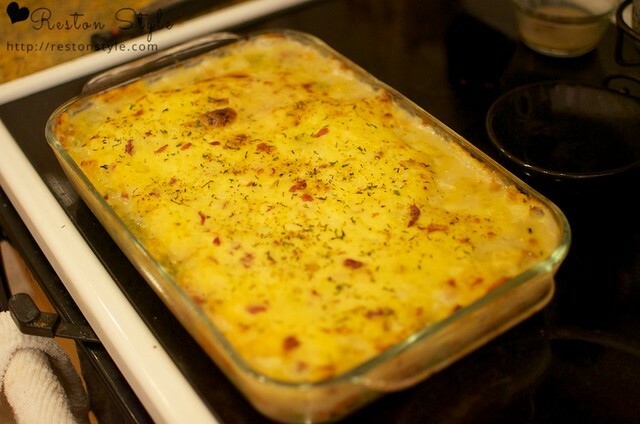 I didn't have any beef, so traditional cottage pie was out. No lamb either, so no shepherd's pie either. (Did you know that was the difference? Who knew my little blog could be informative!) But I had chicken thighs! 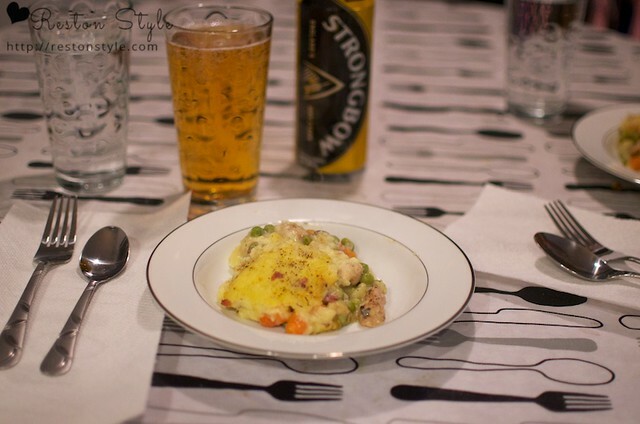 So this is a little hybrid chicken pot/cottage pie! this is where this gets hard for me, I don't measure! 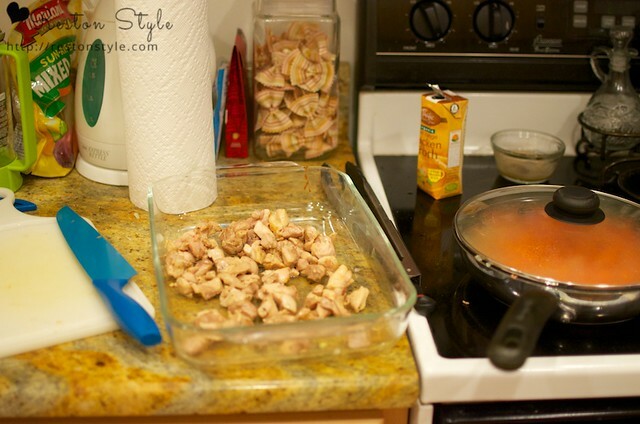 But I cooked the chopped chicken thighs in bacon grease in the frying pan. Then I put the chicken in the casserole dish. 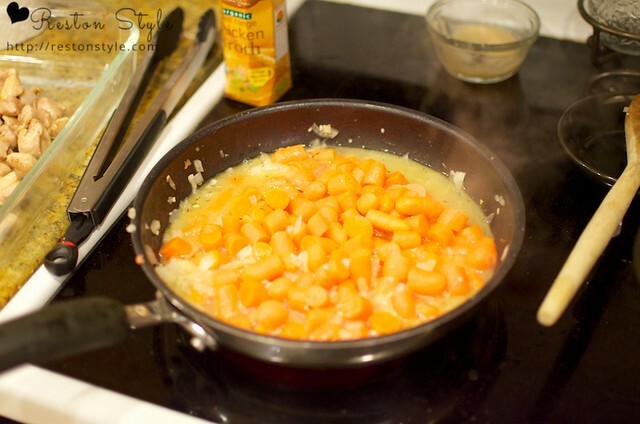 Then I added the carrots and 8 oz of stock and let the carrots cook covered. 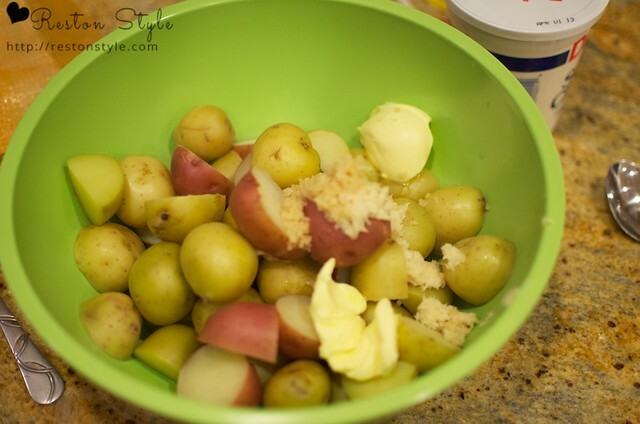 While that was cooking, I boiled the potatoes until soft, 15 minutes maybe. 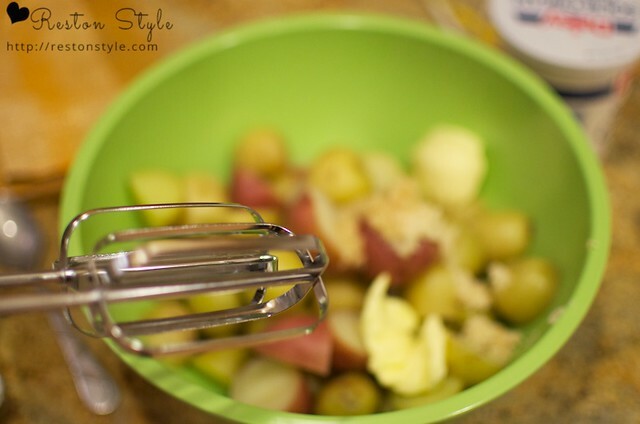 The trick with potatoes is to start them in cold water. when the potatoes were soft, I drained them and then whipped them with some kerrygold (2 tablespoons, maybe), a heaping tablespoon of horseradish, and 1/3 of a cup of sour cream. then I added the frozen peas to the chicken and poured the hot carrots, onions and stock on top. I let the whole thing sit for about an hour, because I was waiting to cook it for Reid. 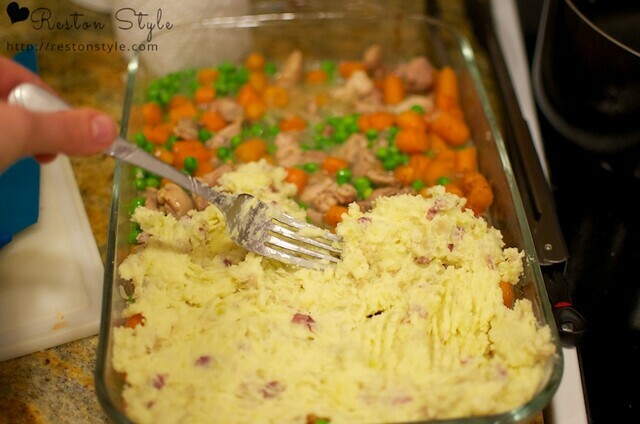 So this would make a great freezer meal! from room temperature, it only took about 25 minutes on 350 to heat up and get toasty on top! !